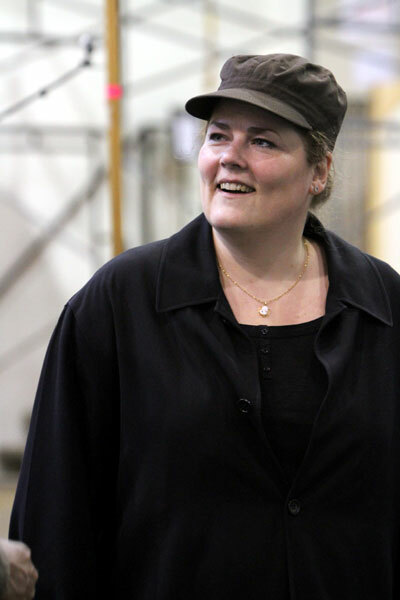 Here at Seattle Opera, we're excited to welcome German soprano Christiane Libor, who stars as Leonore in Fidelio. Not only is this her company debut, it's her U.S. operatic debut! Today, we get to know Christiane and we ask her about her history with Fidelio, which is an opera she's performed several times internationally and to great acclaim. Christiane sings five of six Fidelio performances, with former Young Artist Marcy Stonikas singing Leonore on October 14. For more tickets and information, visit seattleopera.org/fidelio. Welcome to Seattle Opera! We know this is your U.S. operatic debut, but where in this country have you sung concerts ? The first concert was St. Matthew’s Passion in New York at Avery Fisher Hall, in 2008. And then twice I’ve gone to the Bard Music Festival. Well, we’re excited to hear you as Leonore. Can you tell us your history with Fidelio? Was it a role you’d always wanted to sing? Well, I think I heard it for the first time through recordings as a student. But I thought this role was so far away for me, my voice was very lyric, so I thought, “Oh, it’s not my part.” But while I was studying, Dietrich Fischer-Dieskau was the first to tell me, “You will become a good Leonore.” But I didn't take that seriously, at the time. [Laughs] I had never thought of [singing] it before. And my mother, it’s her favorite opera, so she would say, “Oh, would you sing it? I hope you can someday sing Leonore.” And I would say, “Mama, no!” But, amazingly, Fidelio was the second or third opera I picked up after my studies. I did it very early on. How many productions of Fidelio have you done by now? 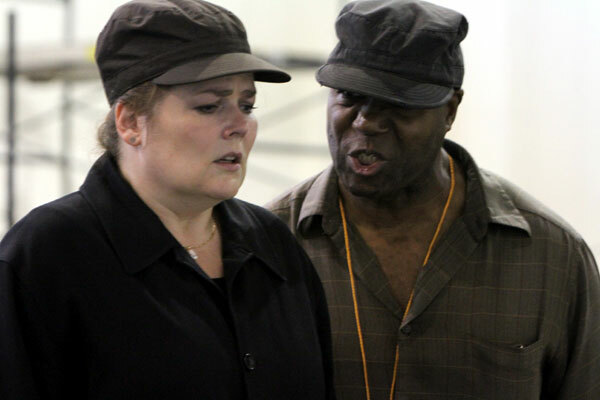 Christiane Libor (Leonore) and Arthur Woodley (Rocco) in rehearsal for Seattle Opera's production of Fidelio. Do you have a favorite Leonore? Someone whose performance of the role you really admire? I don’t have a favorite, but I like Leonie Rysanek, and her recording of Fidelio conducted by Ferenc Fricsay. I also like Birgit Nilsson and Christa Ludwig. Do you enjoy getting the opportunity to sing as a boy in Fidelio? Usually, roles like this go to mezzo-sopranos. Yes, I like it because it’s not so often I can sing and dress in that way. But this is different from most roles, because I’m not actually a boy on stage. I play a female who plays a boy. So, sometimes I think Leonore must be overacted, to show that she is only pretending to be a boy. This summer, we had the pleasure of a fantastic Turandot, by the team of Renaud Doucet and André Barbe. We understand you’ll soon be in their production of Die Feen! Have you sung this opera before? Yes, I sang it in Paris, at the Théâtre du Châtelet, with Marc Minkowski conducting. It’s a little bit of a crazy opera, because you don’t really understand the story. “Uh, wait a minute, I must think about that,” you say to yourself. But to sing it’s a great challenge. It’s a very difficult part, and there’s an aria in the middle of the opera that goes on for 11 minutes. It’s coloratura, and then very dramatic, and then more coloratura, and then again very dramatic. It’s so difficult. But I like that. I like opera, or parts to sing, that are very difficult. I don’t know why! Christiane Libor (Leonore) in rehearsal for Seattle Opera's production of Fidelio. Then it makes sense you enjoy Fidelio. It is notorious for its difficulty. Yes, but it’s not the vocals that are difficult for me in Fidelio, it’s the mentality of the role that’s very difficult: to be a woman playing a man, and to bring out the story of freedom and eternal love. It’s an important opera, for the heart and for the mind. 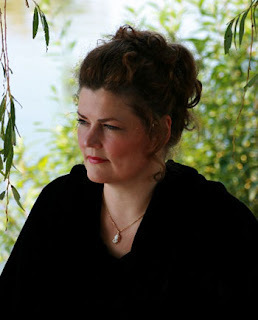 Christiane Libor singing Leonore's "Abscheulicher" from a recent performance in Berlin.